I have had so many heli flights on this trip I feel like I could fly one of those things. Rainor our pilot is a legend and will put the heli in our shots when ever we want. The pic of Steep island was pretty cool with him hovering just in the shot. Michael was on the heli taking video of us on the hill. Expect to see that on Vimeo soon. Two days to go, what a bummer. ~ by christianfletcher on September 9, 2009. Had a good look a Marks blog his shots are looking great…. Who is the fat guy at the dinner table.??? two days to go for you, but I’m still betting you will rant on for ages about how great it was. Meanwhile the rest of us are still in our day jobs, busting it over our keyboards/desks/whatevers, and NOT enjoying ourselves in the great outdoors. Sigh. I guess jealousy and envy are sins, right? Love the eagle shot, and that Steep Island shot rocks ! Glad to see that Mike’s 5D2 wasn’t included in this series as it sounds like it could end up flying out the window of the chopper! Fletch you are literally going to come down to earth when you get back – how do the words “cold”, “grey”, and “wet” sound? You have pulled so many fantastic shots out of the trip that you should be able to dine out on them until the next trip. I bet there just won’t be any room for that Kelby character even if he decided to answer his emails, although could this change as the Great Nikon Alliance is forged???? How the f#*?k did you get a moving helicopter into a stitch?? Those heli shots are brilliant. That pilot has a quite nice job. The photographer; not too bad either! 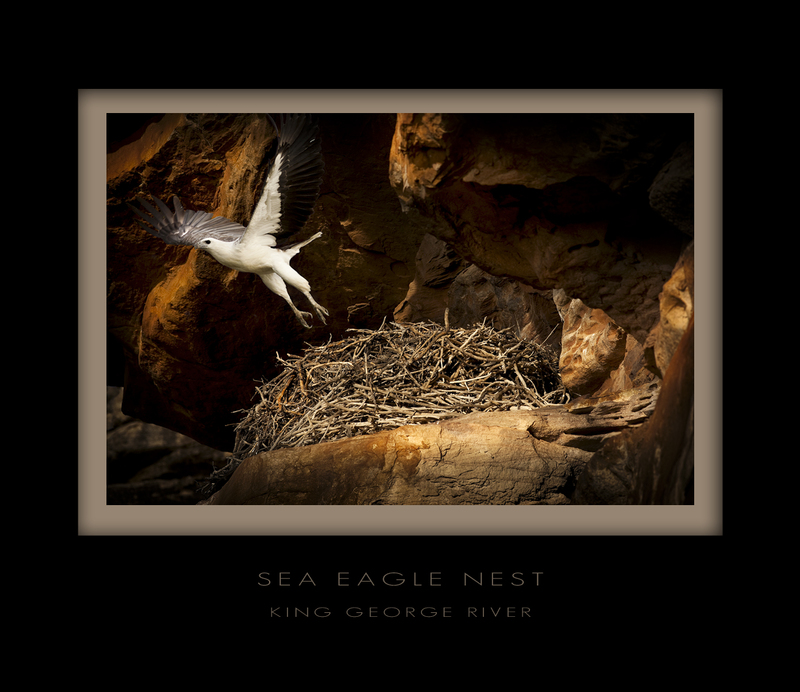 Brilliant Sea-eagle shot CF, nature exhibition coming up. 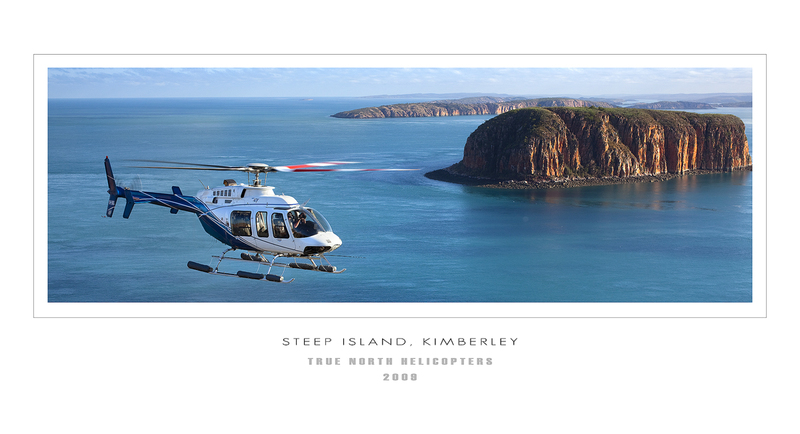 Steep Island chopper shot is great, very envious. Hey Christian, say Hi to Rainor for me – you are right, he’s an excellent pilot and really gets photographers’ needs. 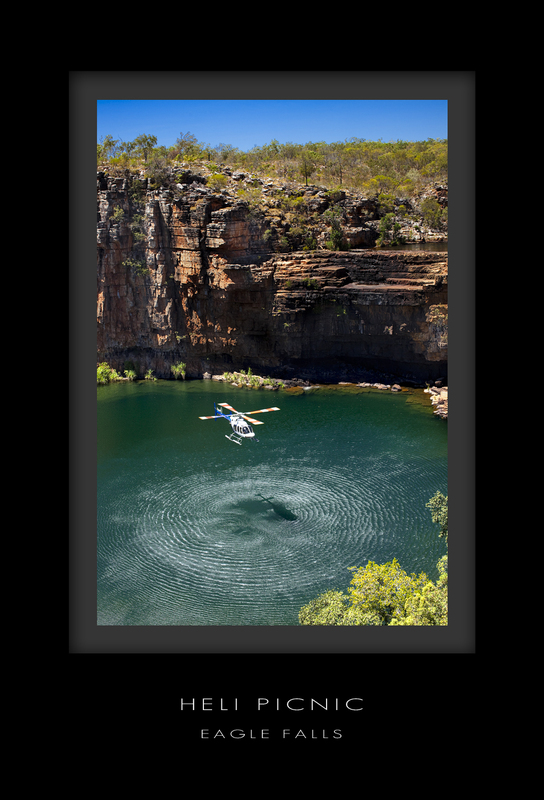 How cool was that landing on the rock ledge at Eagle Falls! Love all these recent shots mate! That sea eagle one is phenomenal!!! Yuh… stuff this photography crap i want Rainors job. If i was on the true north id be all over that chopper, literally i cant keep away from them! Hope the transition into ‘real life’ has not been too hard for you mate!! I love the bird picture! It looks like it’s out of an adventure movie! I have another advice to ask… I would like to self publish a photo book, printed in Offset… Can someone recommend a printer or self publishing company? They are heaps out there, but how to choose? i’m sabotaging your post to make room for mine!! quick everybody! over to my blog for pics of rottenest and free BYO beer! Great Shots, I added your photblog to my links, if there is no problem!! !